The 50th Annual Southern Christmas Show, one of the most popular holiday shows in the nation, will signal the start of the Christmas season for residents and visitors to Charlotte, North Carolina with its kickoff preview event on November 8, 2017. Over the course of the next 10 days, from November 9 through 19, over 150,000 people will come to experience the 500 merchants, vendors, and exhibitors bring their arts, crafts, and Christmas creations to the Park Expo and Conference Center to sell and display. The show gives shoppers the chance to browse for Christmas ornaments, home decor (both Christmas related and year-round), gifts, dolls, wine from local wineries, and even local food vendors for day-of snacks and meals. The building will have cafeteria-style food, as well as concession-style food including strudel, roasted nuts, hot pretzels, and lots more traditional "show" favorites. The opening preview event will begin on Wednesday, November 8, 2017, at 5 p.m. and last through 9 p.m., but the show itself officially opens the following day, Thursday, November 9 at 10 a.m. The show is open daily between Nov 9 and 19 starting at 10 in the morning and closing Sundays through Tuesdays at 6 p.m. and Wednesdays through Saturdays at 9 p.m.
An adult ticket to the opening preview event costs $19 each (but is only valid for Nov. 8), and the adult ticket for a day-pass to the regular show costs $10 while children aged 6 to 12 cost $3 and those under 6 get in free; in honor of the 50th anniversary, you can save two dollars on admission by buying your ticket in advance online! 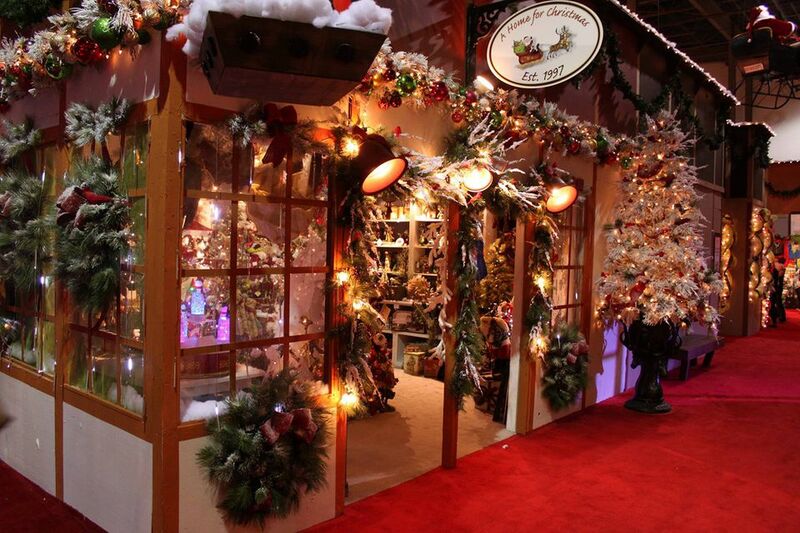 The Southern Christmas Show takes place at the Park Expo and Conference Center, which is located at 2500 East Independence Boulevard, Charlotte, NC 28205. Parking is available on-site for seven dollars at either the Expo Center or Bojangles' Coliseum. The show itself offers visitors four unique sections to explore—Olde Town, Christmas Tree Lane, The Enchantment Village, and the Holiday Entertainment Stage—each of which provides guests with a special set of holiday attractions. Olde Town is a village that's home to over 50 shops filled with gifts, dolls, decorations, and ornaments, and you can find arrays of free samples between the houses like dips, salsas, soups, and cheeses. A number of great local vendors and artisans bring their crafts to this annual showcase, so be sure to check out the full list of exhibitors here. Christmas Tree Lane and The Enchantment Village are both annual displays that show off local talent in decoration and craft—Christmas Tree Lane features dozens of well-decorated trees from the nearby Blue Ridge Mountains while The Enchantment Village is an exhibit of winter-themed miniature houses created by the National Association of Miniature Enthusiasts. Finally, the Holiday Entertainment Stage features local talent singing, dancing, playing instruments, and performing other routines geared around spreading holiday cheer. You can also visit Santa Claus here and get your picture taken for $10, which goes to help support the Shriners Hospital for Children.